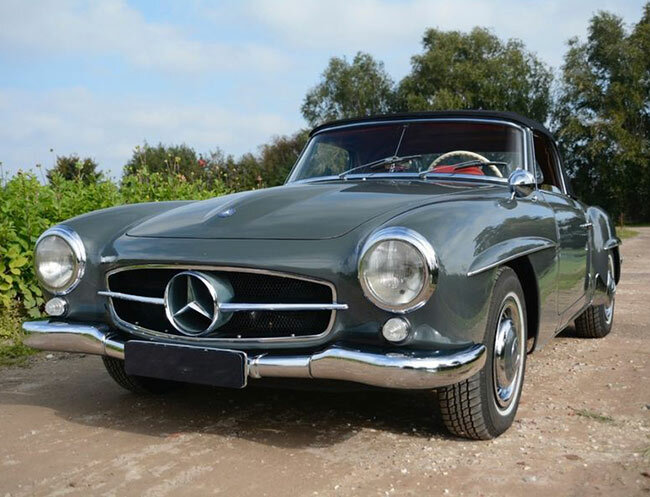 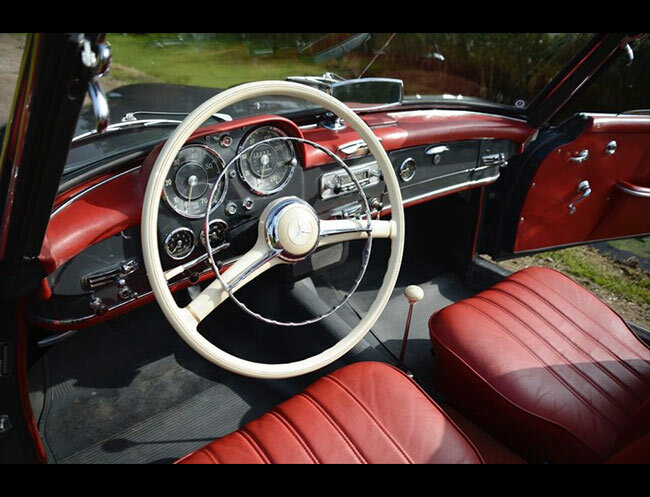 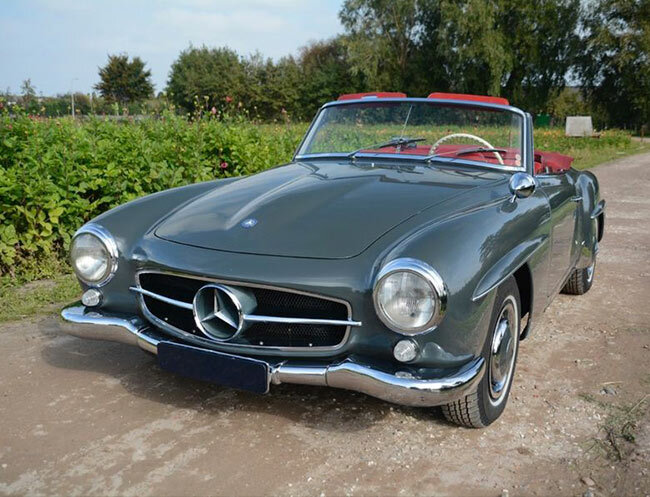 The Road & Track October 1955 Test Said "The outstanding achievement of the 190SL is without a doubt its quality in design and workmanship. 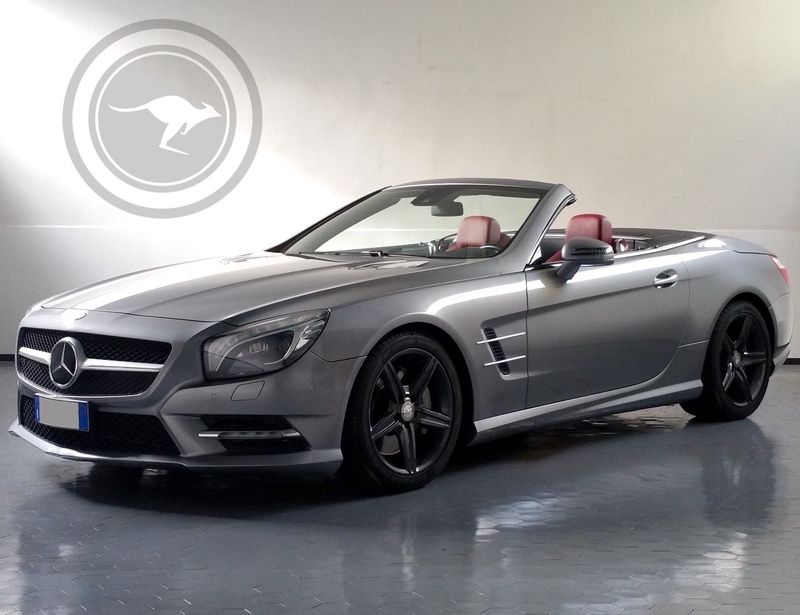 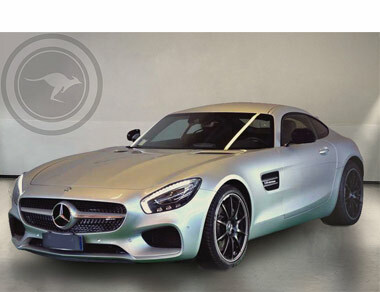 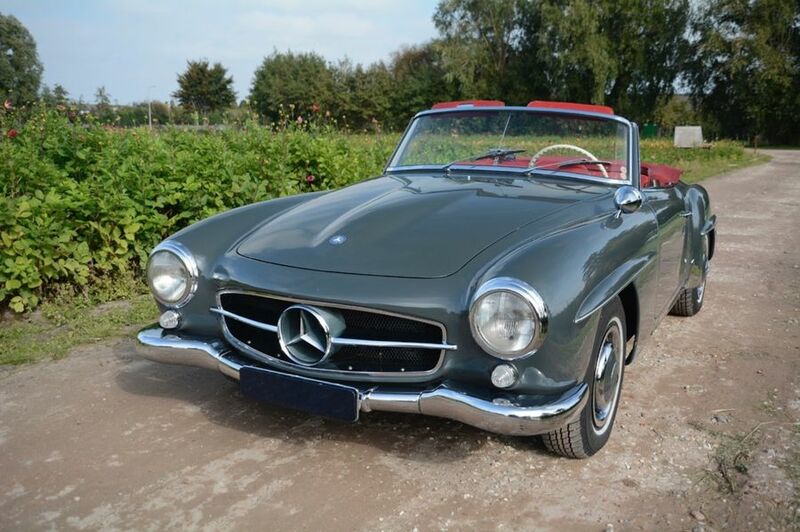 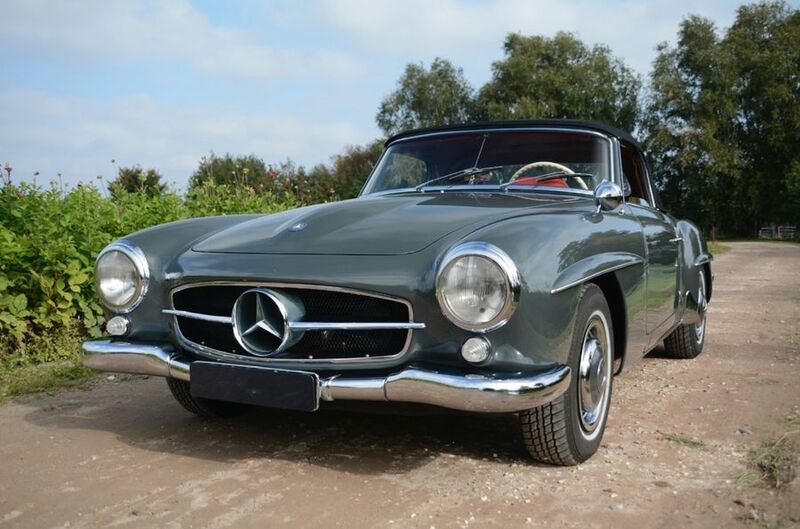 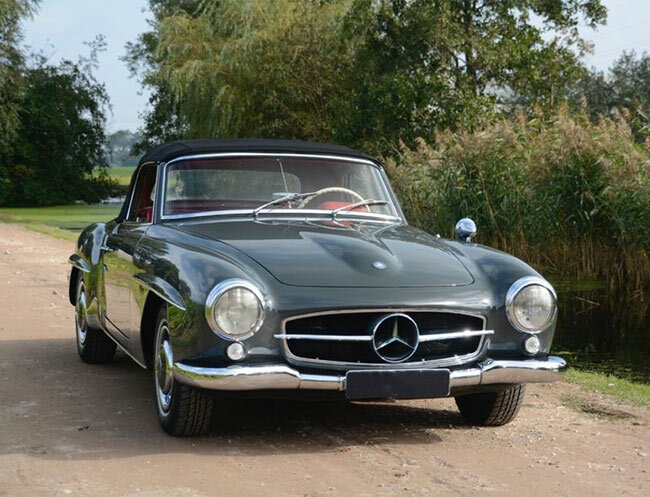 But a close second is the general feeling of solidity which it immediately conveys..." Also known as "Baby Merc" or the "Little Brother" to the 300 SL, the 190 SL is Pretty, elegant, delicate, subtle and neat. 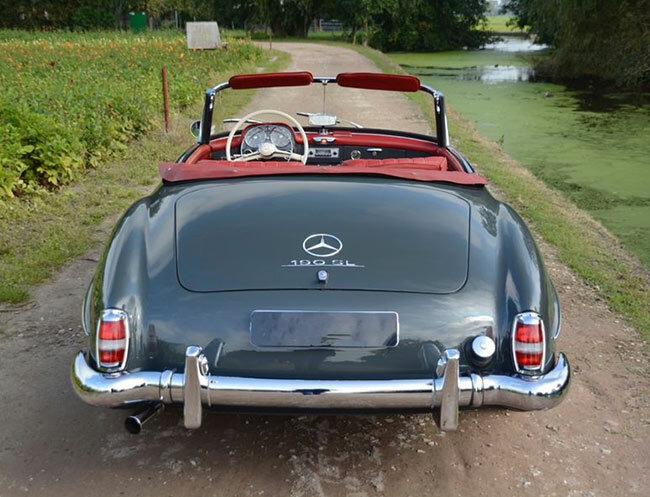 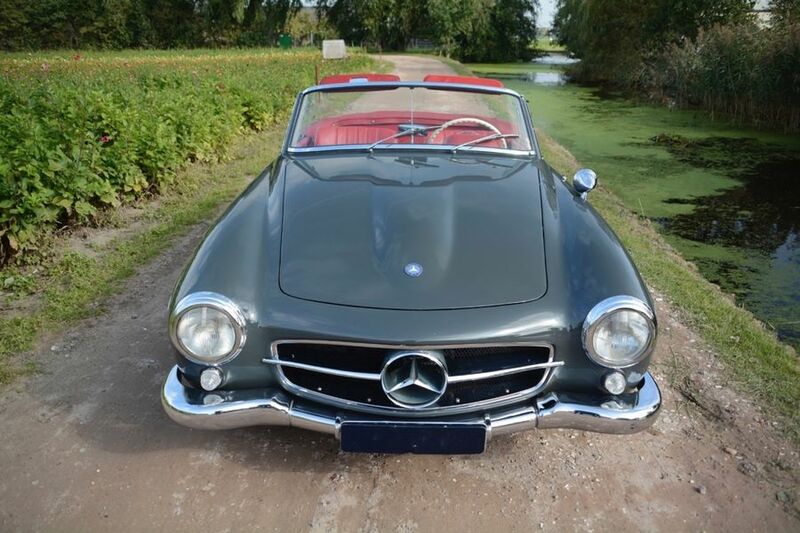 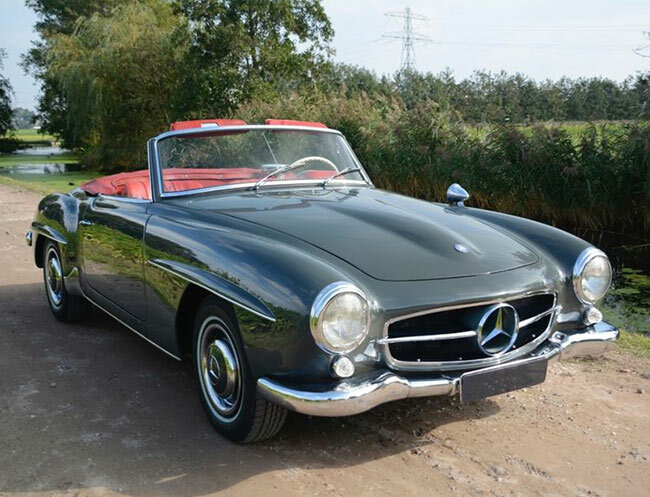 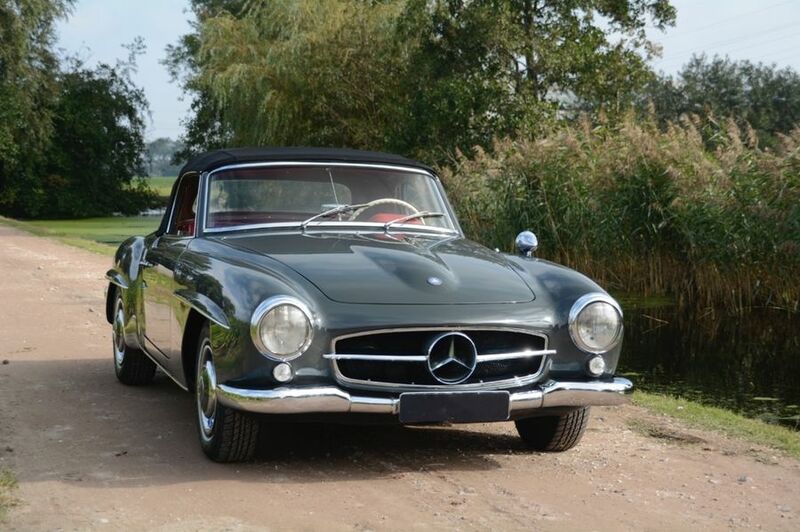 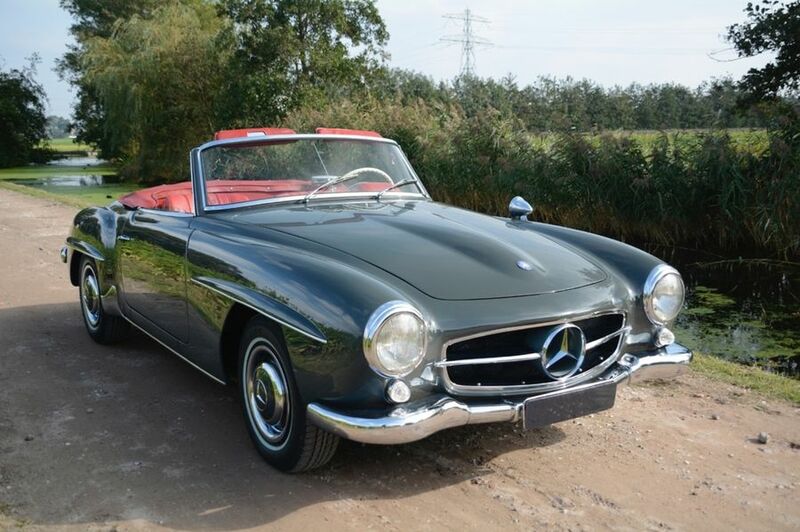 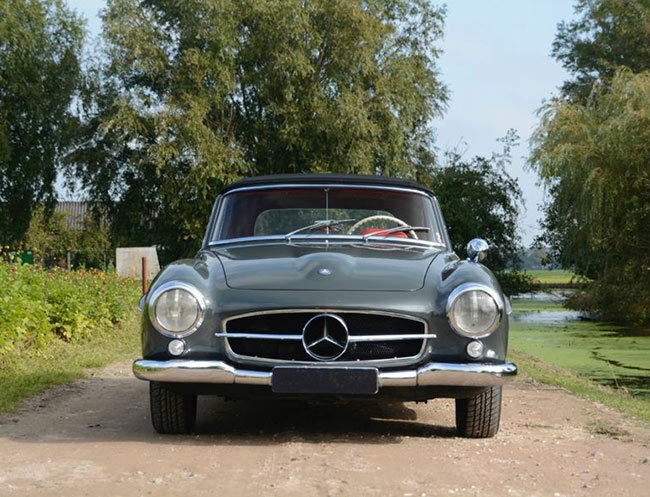 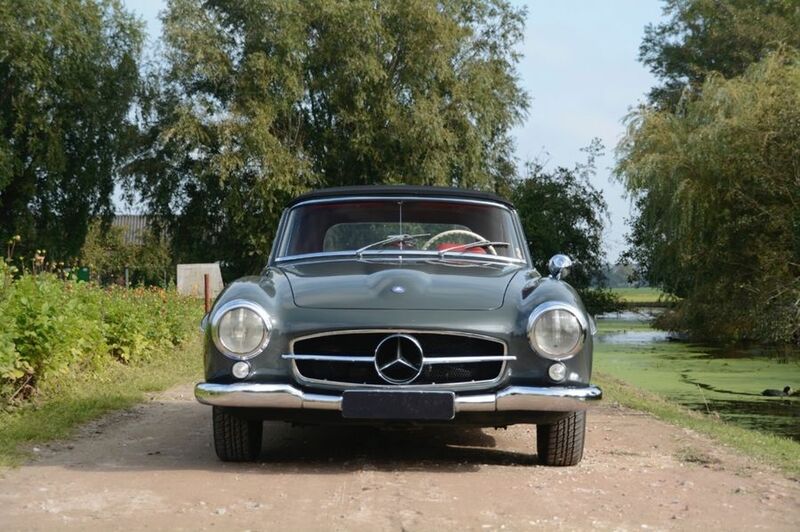 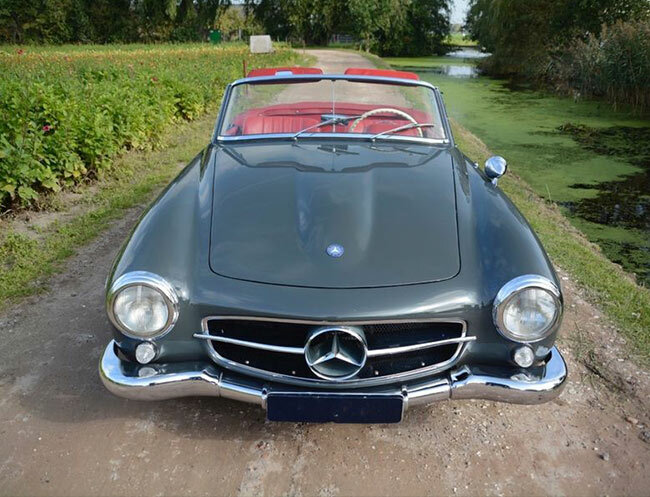 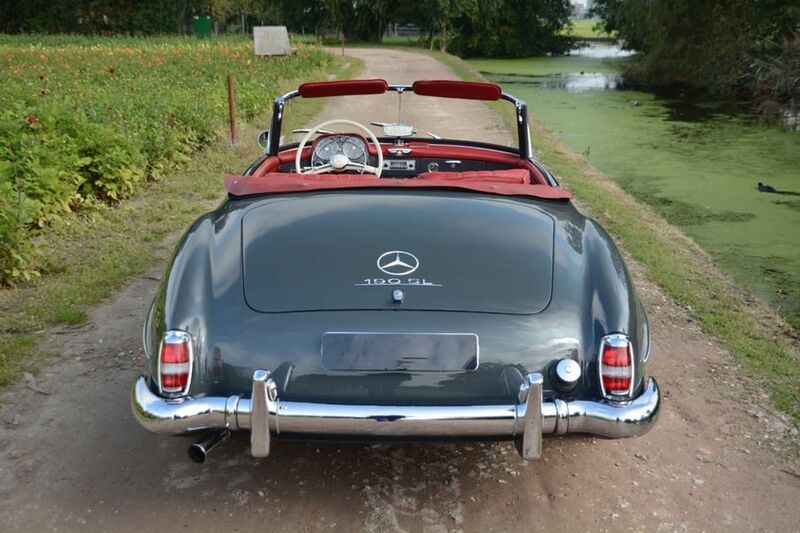 Any of these words could be used to describe the 190 SL, a design that shares much with the slightly brasher but equally alluring 300 SL from the same era. 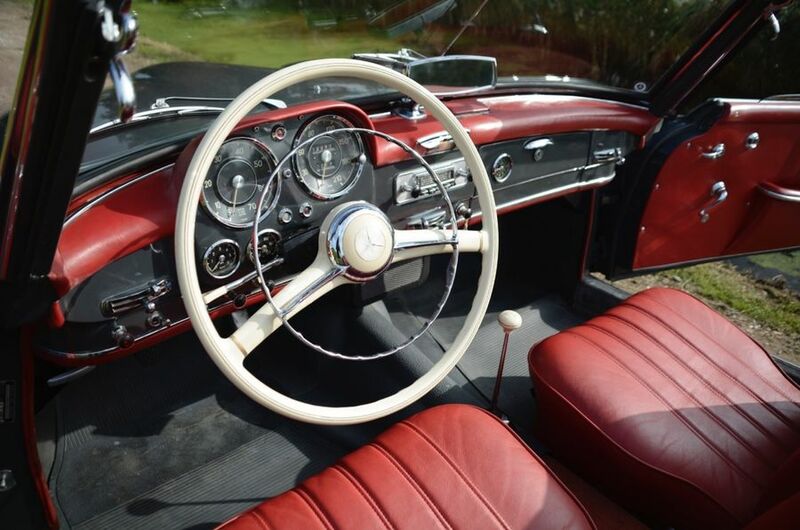 Period detailing abounds, from the white-walled rubber with chrome hubcaps to the slender bumper irons, and the round headlights lead into pronounced wings that just aren't seen on modern motors. 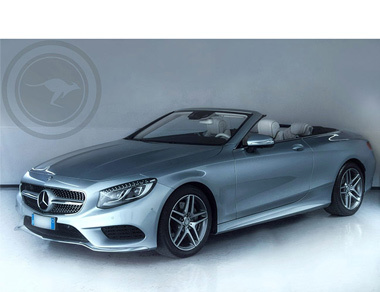 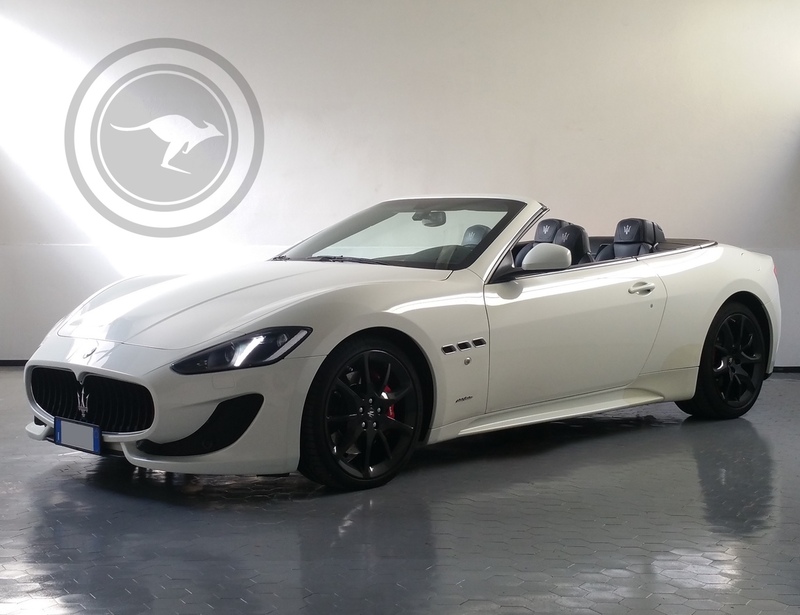 Roof up or down it's an eye-catching machine, though there's no doubt the fluid bodywork looks its best.